Lately, megachurches keep making headlines for all the wrong reasons. If it’s not bishops (or their wives) fornicating, it’s pastors taking up $65 million offerings for private jets. And if it’s not adultery or the appearance of greed, it’s embracing practicing homosexuals as card-carrying church members of the church. In February, I wrote about megachurch pastor Stan Mitchell who prayerfully started allowing gays into leadership. 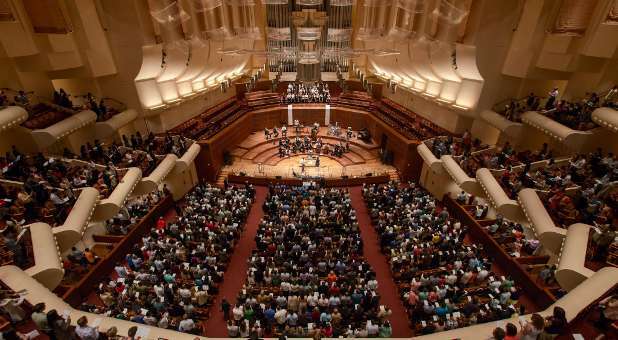 Now, San Francisco’s City Church is putting an end to its policy of banning LGBT members who are unwilling or unable to take a vow of celibacy. Previous Previous post: Days Of Darkness Coming? NASA SDO Reveals Two Massive Holes In The Sun!